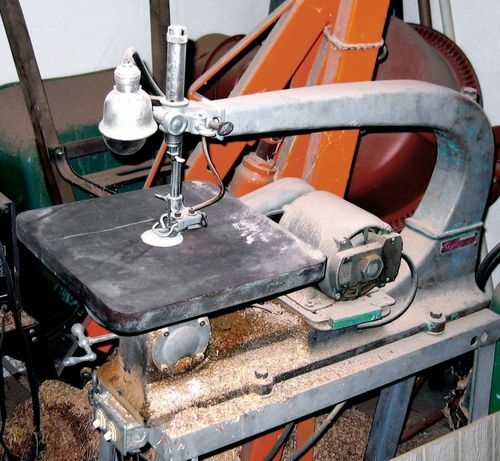 I’ve got a wonderful old Delta scroll saw that allows me to use a regular scroll saw blade (attached to both top and bottom blade mounts) or something more like a jigsaw blade (attached only to the bottom mount). In either case, the blade guide still helps keep the blade stable. I love the “jig saw” feature, since it lets me make inside cuts without having to remove the blade. The saw also has variable speed via v-pulleys that adjust with a crank. I’d like to update my saw to a lighter, more modern version, but I haven’t found anything else that has the “jig saw” feature. Any ideas? I used to have that saw many years ago. Got it free from a fellow who didn’t like it back in the 1970s. After using it, I didin’t like it either and gave it away. The problem with these old style “spring return type” saws is they can’t keep enough tension of the blade to keep if from bending from side pressure in curving cuts. The newer “parallelogram” type of arrangement allow for increased tension on the blade making it stiffer in the cut. A much better arrangement! 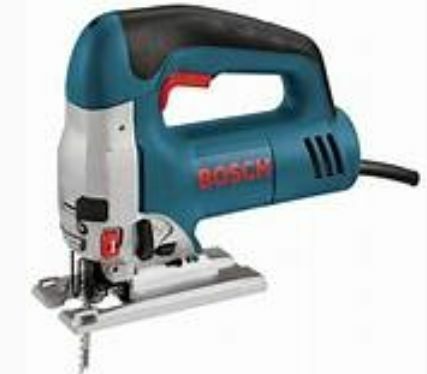 As to the “jig saw” feature, the hand electric jig saws have taken the place of the feature you like. My recommendation is to get an electric hand jig saw. Thanks, Planeman40, for the feed back—and sorry you didn’t like your old Delta. As to your suggestion about using a hand-held jigsaw—I have several of them. and they are useful in some situations, but have a number of drawbacks compared to my scroll saw’s ability to use a bottom-mounted blade. First, visibility of your work is not nearly as good; second, precision cuts are much easier when you move the work instead of the saw; third, there’s no “upper” blade guide to keep the blade from flexing; fourth, with my scroll saw, I’ve got two hands to guide the work; fifth, my scroll saw allows me to use a zero clearance insert, which is absolutely critical for fine work. Even if you could figure out a way to do that with a jigsaw, you would not be able to see the work at all. So—-back to my original question: do you know of a modern scroll saw that allows the use of bottom-mounted blades?